Farming is one of the most important industries in the United States, but you don’t need us to tell you that. As you probably already know, there are many difficult aspects, but one of the most irritating perhaps is the need to move equipment. There are many who need to take advantage of a tractor hauling company from time to time, and you don’t necessarily need to be a farmer to do it. Today we’re going to take a look at a few of the most common reasons for shipping a tractor, and then we’ll discuss getting it done in the best way possible. The first and most important thing to remember is that farmers aren’t the only ones who need to ship a tractor. You could, for example, simply be someone who is selling farm equipment and needs a way to safely transport it across the country. It could even be much simpler than that; maybe you are hoping to supply tractors to another field, or maybe you’re moving altogether. The plans, of course, are fairly irrelevant – all you know is that you have a tractor, and you need to get it to a new location. The ultimate destination could be anywhere! Some prefer to ship their tractors to the next city over, and some will be moving them across the country – in the end, it’s all about getting the job done, and it’s about getting it done as safely as possible. So, with that being said, how are you going to do it exactly? We have a few suggestions, and most importantly, we have some answers to your most pertinent questions. 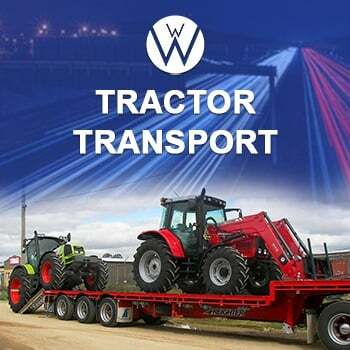 We Will Transport it is a Tractor Transport Company Specialist. Best Tractor Transport Company in the US. Do you want to Ship a Car to Florida? How long is their average trip? How many five star reviews do they have? We can tick the box for all four of those questions and a quick online search will reveal to you that we have more than our fair share of positive reviews. These aren’t just kind words, they are affirmations that we can get the job done right and keep the customer happy. When it comes to shipping an expensive piece of equipment(Tractor Transport), that’s what really matters. Shipping a tractor is a difficult endeavor and when you hire a company to get the job done for you, you first want to make sure that they have the experience. Secondly, you want to make sure that they know the route that they are going to take. One of the biggest issues with transporting large pieces of equipment like this is the permits that are required to travel through each state. In addition to that, it is important to choose routes where the tractor is allowed. For example, most freeways have a weight limit and if you are going to move a large piece of equipment, then you’re going to need to make sure that you are at the proper weight, and if not, make sure that the proper permits have been filed. The weight limit in place is done not only for the sake of the road but also for the safety of other drivers on the road. This leads us to the point that transporting a piece of equipment like(Tractor Transport) this is going to require an experienced hauler who knows how to handle large loads. Don’t worry; you’re in good hands with us. One of the most common questions we get relates to the tractor hauling transportation price. 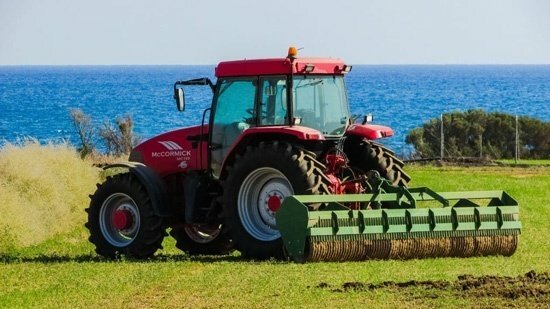 How much does it actually cost to get this Tractor Transport done? Well, it honestly depends on a few different factors and while there are some things that we can easily predict, it’s not really a ‘one size fits all’ type of situation. There are many circumstances that can rather easily change the price, and you will need to discuss them with us. For example, the weather could play a part and cause delays, or you could find that the price is significantly increased based on the distance that needs to be traveled. As you can see, there are a lot of things to consider when it comes to transporting a tractor any distance but one thing is always going to be certain: we’re the company that is going to help you to get it done. Give us a call today and get your tractor on the move. A Tractor Hauling Company for your needs! We Will Transport It is a five-star Tractor Transport Company, International Shipping Company and heavy load hauling specialist will give you the top rate service for a fair price. We Will Transport It, the Best Tractor Transport Company in the U.S.
ARE YOU TRANSPORTING FARM EQUIPMENT?